When it comes to celebrating, few groups do it with the passion and heart of MDA’s endurance program, Team Momentum. Whether celebrating the addition of a new team member, the recruitment of new supporters or whooping it up after a fundraising goal has just been smashed, MDA Team Momentum athletes always make it a party. But today, it’s time for us to celebrate them. As we wish Team Momentum a happy birthday, we could think of a million kind, positive and wonderful things to say, but instead of just talking about how awesome the team is, we thought it would be better for these athletes to show you themselves. In recognition of Team Momentum’s 4th birthday we decided to roundup four stories that truly exemplify the power of Team Momentum and the impact is has made on the lives of so many in 2017. 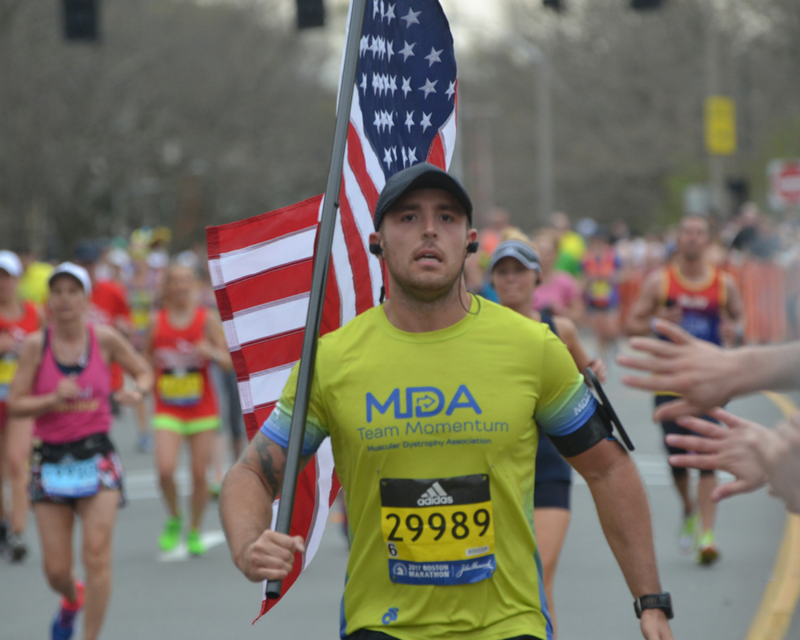 Air Force Senior Airman Mike Hall conquered the 2017 Boston Marathon with Team Momentum, running for his sister Danielle, in memory of his brother DJ and for all families impacted by neuromuscular diseases. “What better way of supporting this cause than by running the most prestigious marathon in the world? I’m fulfilling my dream, while also supporting a cause that is very close to my heart,” shares Mike of his experience. Matt Kendall, whose son Archer lives with DMD, shattered a Team Momentum fundraising record with his team Archer’s Way at the United Airlines NYC Half-Marathon in March. His efforts brought in $55,000 and counting for research that will help find treatments and cures for DMD. “I don’t feel I’m being myopic when I say it really is an incredibly hopeful time for muscular dystrophy. It really is. There is so much promising research occurring right now that we’re truly hopeful,” says Matt. MDA Team Momentum veterans Stephanie and Jon Betts continued using their muscles to help adults and kids, like their son Henry who lives with congenital muscular dystrophy, to live longer and grow stronger. “My husband and I always tell people this because it is the truth: Henry is our hero. He is incredibly strong. Our quote on the back of our Henry’s Heroes shirts states, ‘True strength is in the soul and spirit, not in muscles.’ He is an amazing kid who has the best attitude that just draws people in. We are so incredibly lucky to be his parents,” shares mom, Stephanie. 4. Brother and Sister Tackle 10K Together. If Hugo Trevino wants to accomplish something, you can guarantee he will. 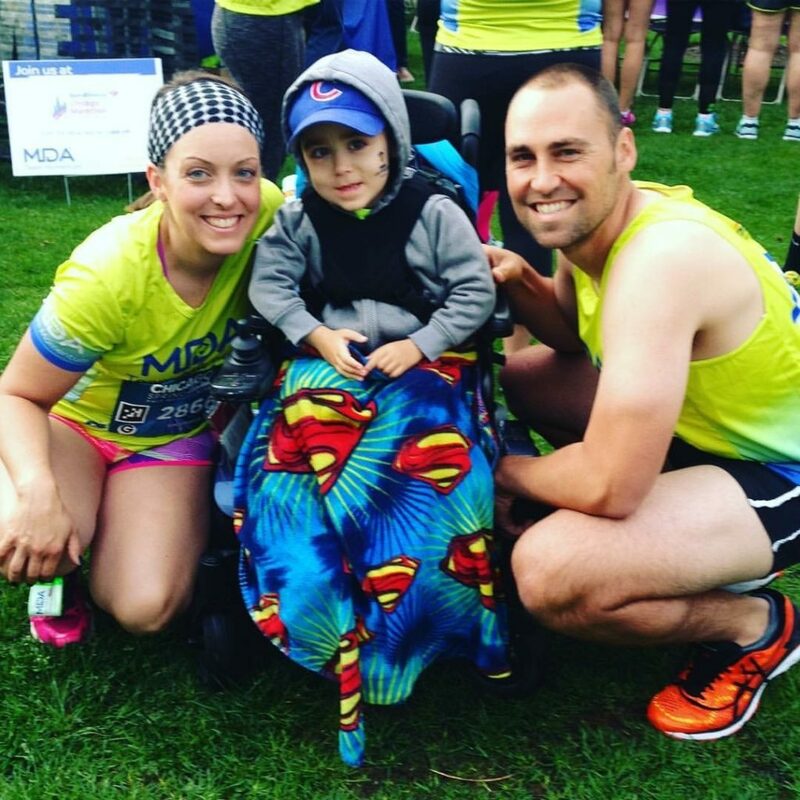 So when Hugo, who lives with SMA, decided he wanted to participate in the Chicago Spring Half Marathon and 10K, that is exactly what he did. With the help of his sister Maria and a close friend taking turns pushing Hugo’s racing wheelchair, Hugo successfully checked running a race with Team Momentum off of his to-do list. Help make 2018 Team Momentum’s best year yet!